Despite the negative reception of the 2010 remake of A Nightmare on Elm Street, rumors of another reboot from New Line have persisted for years. Back in 2015, the new reboot got its first major update when The Conjuring 2 writer David Leslie Johnson-McGoldrick was hired by the studio to write the screenplay. Three years past this announcement, there hasn't been any word on the movie's progress, making it unclear if the project was still in the works. Finally, Johnson-McGoldrick has weighed in on the reboot's status, confirming that he's still on board to pen the movie. The bad news is that there's apparently no rush to get another A Nightmare on Elm Street Reboot done anytime soon. "It's still happening. Nothing is percolating just yet. The Conjuring universe is sort of first and foremost on [New Line Cinema's] horror burner. Everybody wants to see Freddy again I think, so I think it's inevitable at some point." What Johnson-McGoldrick is explaining here financially makes sense. The Conjuring and its subsequent sequel and spin-offs have proven to be huge moneymakers for New Line, and more so than the Elm Street movies. While "The House that Freddy Built" will always have a place for the Springwood Slasher, churning out more Conjuring movies seems to be their focus right now. Johnson-McGoldrick is currently working on The Conjuring 3, which has been set for a 2020 release date. With another Annabelle sequel coming in 2019, there's going to be a lot to look forward to from the Conjuring universe, but unfortunately that seems to leave Freddy behind. However, the people at New Line have undoubtedly noticed the tremendous success achieved by the new Halloween sequel from David Gordon Green. The movie became not only the highest-grossing movie in the Halloween series, but the most successful slasher movie of all time. 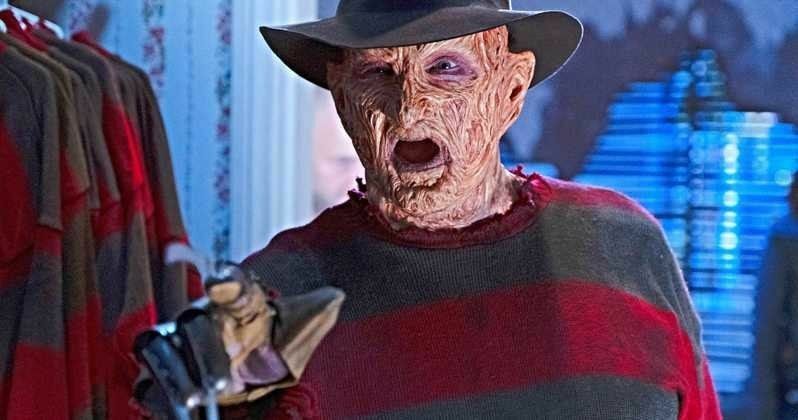 With the Friday the 13th franchise still working out its licensing issues preventing another sequel, now seems to be the time to make a new Nightmare on Elm Street movie. Original star Heather Langenkamp has already said she's on board to reprise her role in a new sequel, generating even more fan anticipation to see it happen. Robert Englund formally retired from playing the role after appearing one last time as Freddy Krueger in 2003's Freddy vs. Jason. However, back in October, Englund reprised the role once again for a guest appearance on The Goldbergs. He has since teased that he might have one more Freddy movie left in him, contrary to prior claims that he'd never play the character again. Hopefully New Line has been paying attention, because a new Elm Street movie with Englund and Langenkamp has the potential to do just as well as Halloween. The movies in the Conjuring franchise are some of the best movies that modern horror has to offer. However, fans of the genre still clearly have a lot of appreciation for the classics. With Englund and Langenkamp both available for one more movie, the right ingredients are there to make something special. Let's keep our razor-clawed fingers crossed for the movie to finally get made. This information comes to us from GameSpot.